Prime: first-class, leading, state-of-the-art, stellar, world class. These words summarize what Metal Prep can offer its customers as one of the largest coil coating providers in the United States. For more than 40 years, Metal Prep has taken steps to refine its process to ensure a final product that meets the highest standards. It’s the unparalleled attention to detail, customer service you can depend on, and confidence that comes with getting the right product when you expect it. At Metal Prep, ‘Prime All the Time™’ is our motto. 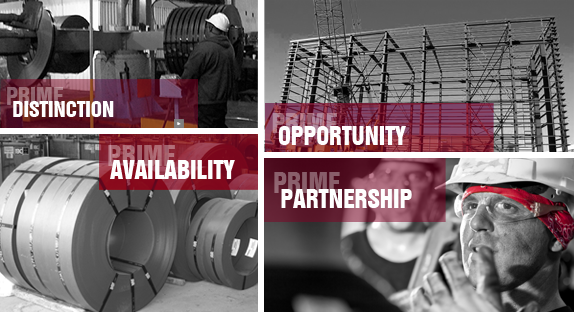 It means prime distinction, prime opportunity, prime availability and most of all, prime partnership.